Step out of Kuala Lumpur with an excursion to Putra Mosque in Putrajaya--about 30 minutes away. There's lots more to do: admire the landmark architecture of Petronas Twin Towers, wander the streets of Chinatown - Kuala Lumpur, explore the world behind art at Islamic Arts Museum Malaysia, and explore the fascinating underground world of Batu Caves. 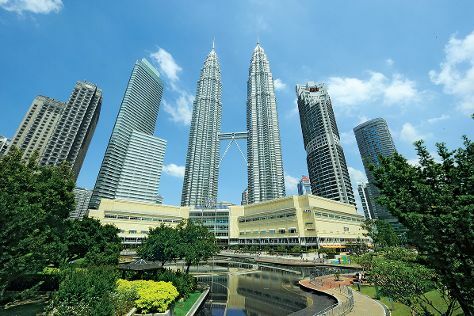 To find where to stay, reviews, ratings, and more tourist information, read our Kuala Lumpur vacation planner. New Delhi, India to Kuala Lumpur is an approximately 8.5-hour flight. You can also drive. The time zone difference moving from India Standard Time to Malaysia Time is 2 hours. July in Kuala Lumpur sees daily highs of 38°C and lows of 28°C at night. Finish your sightseeing early on the 4th (Wed) to allow enough time to drive to Melaka. 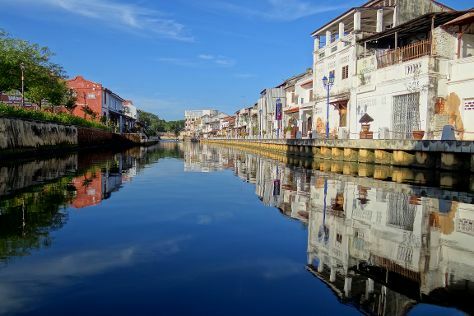 Kick off your visit on the 5th (Thu): contemplate the waterfront views at Malacca River, don't miss a visit to Jonker Street, then get engrossed in the history at Baba & Nyonya Heritage Museum, and finally make a trip to The Huskitory. For other places to visit, traveler tips, reviews, and more tourist information, read our Melaka trip planning website . You can drive from Kuala Lumpur to Melaka in 1.5 hours. Other options are to take a train; or do a combination of train and bus. In July, daytime highs in Melaka are 37°C, while nighttime lows are 28°C. Finish your sightseeing early on the 5th (Thu) to allow enough time to travel to George Town. 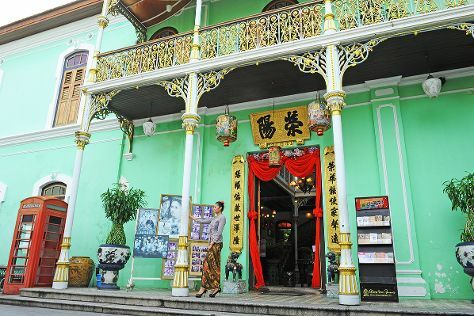 Kick off your visit on the 6th (Fri): wander the streets of Chew Jetty, get engrossed in the history at Pinang Peranakan Mansion, then see the interesting displays at Khoo Kongsi, then admire the landmark architecture of Acheen Street Mosque, and finally admire the landmark architecture of Kek Lok Si Temple. For maps, reviews, photos, and more tourist information, go to the George Town trip planner . Traveling by flight from Melaka to George Town takes 2 hours. Alternatively, you can do a combination of bus and flight; or drive. The time zone difference when traveling from Melaka to George Town is minus 1 hour. In July, daytime highs in George Town are 37°C, while nighttime lows are 28°C. Finish your sightseeing early on the 6th (Fri) so you can travel to Langkawi. Kick off your visit on the 7th (Sat): stroll through Cenang Beach and then zoom along the surf with a waterskiing or jet-skiing adventure. Keep things going the next day: add some adventure to your tour with a kayaking and canoeing tour and then snap pictures at Langkawi Sky Bridge. To see maps, reviews, and other tourist information, go to the Langkawi itinerary planner. Traveling by combination of taxi and flight from George Town to Langkawi takes 1.5 hours. Alternatively, you can ride a ferry. The time zone difference when traveling from George Town to Langkawi is 1 hour. Expect a daytime high around 36°C in July, and nighttime lows around 29°C. Wrap up your sightseeing on the 8th (Sun) early enough to travel back home.